The Inklingo Index of Shapes is a handy summary of the shapes available to print on fabric with Inklingo—so far. It is updated every time a new collection is added. There are clickable links to each collection. CATHI'S PDF VERSION of the Index of Shapes updated 9 March 2019. To Print or Not to Print? To decide whether or not you want to print the Index of Shapes, and some printing tips, click here. All Inklingo shapes are described with the finished size (no seam allowances). Chapter 1 of The Inklingo Handbook, Printing with Inklingo, is included with the FREE shape collection on pages H1-H48. It can also be downloaded from several pages on the web site. Just Getting Started with Inklingo? 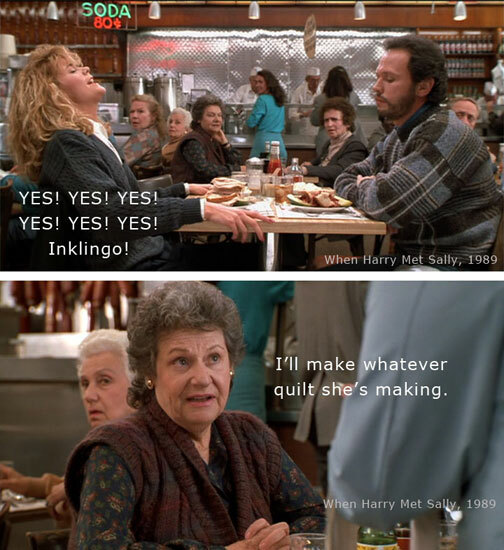 The friendly quilters on the Inklingo Yahoo group are also a great source of information. Please join us.